There is a lot going on here. Maybe even too much; this is a jam-packed couple of minutes. But when you have a cast as great as this, and as many quippy lines, not to mention spent bullet casings, I get the impulse to include everything. And if nothing else, this movie is going to be gorgeous and grim, and it’s definitely up there on my most-anticipated list. 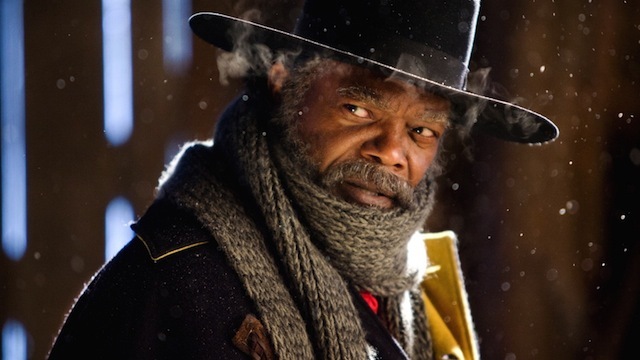 The Hateful Eight stars Kurt Russell, Samuel L. Jackson, Jennifer Jason Leigh, Bruce Dern, Demian Bichir, Walton Goggins, Michael Madsen, Tim Roth, and opens in a limited release on Christmas Day, going wide on January 8.